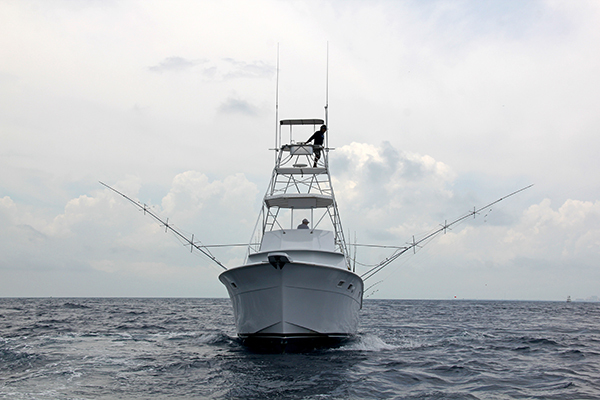 The Cutting Edge is a custom 45′ Hatteras, customized by Captain Quinton Dieterle. It is the most comfortable fishing machine you will ever fish on. It is fast, clean and tournament rigged. A large cockpit with a 100 gallon live well built into the bulkhead and a 50 gallon live well in the deck. The fish box is also built into the bulkhead to preserve space. The fly bridge and tower are also designed with fishing in mind. The salon is air-conditioned with a large seating capacity and has a flat screen TV and stereo for your enjoyment. The new 550HP Cummins diesel engines are reliable and clean running which means no diesel fumes. The Cutting Edge is equipped with all Penn International reels and custom rods. 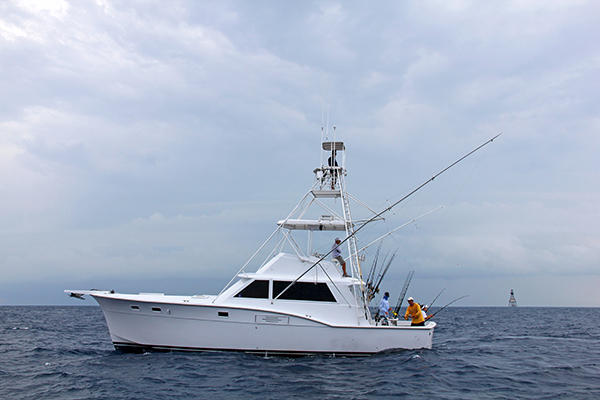 The Cutting Edge is maintained by our full time crew and always looks to be in top fishing and viewing condition. You would be proud to bring your family or best client aboard. 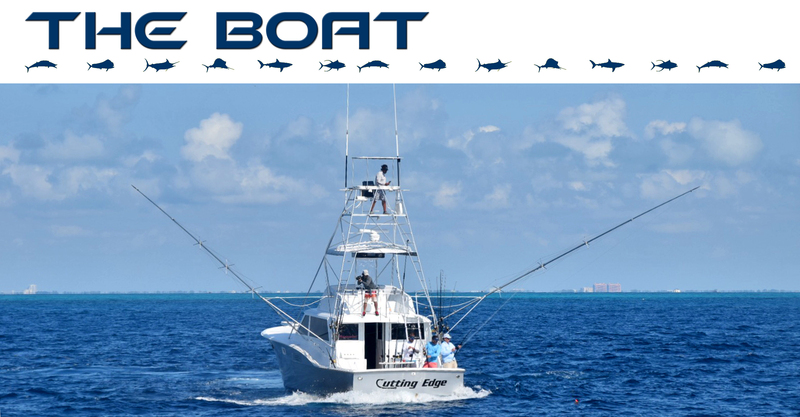 Whether you are fishing for the first time or ready to fish a tournament the Cutting Edge is your best choice and best value.